So your kid is back from a camping trip and now suffering from red, itchy rashes all over the body. It may be a case of Poison Ivy Rash that he or she is suffering from. Read on know what is Poison Ivy Rash, its causes, symptoms and treatment. 5 Is Poison Ivy Rash Contagious? 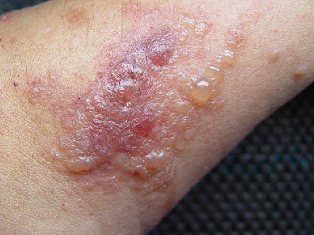 6 Does Poison Ivy Rash Spread From Pus? 9 How Long Can Poison Ivy Rash Last ? 10 What Does A Poison Ivy Rash Look Like? 12 How Long Does Poison Ivy Rash Take To Appear? 13 Can Poison Ivy Rash Come Back? Poison Ivy Rashes are blisters that arise on the skin surface due to its contact with oily resins present in Poison Ivy Plant. These oils act as irritants for the skin. On contact with the skin surface they produce irritation and lead to a skin disorder called Allergic Contact Dermatitis. The rashes appear red to view. The redness persists for several hours or even for days. The person usually experiences an itchy sensation in the blisters. There is often an inflammation in the affected parts of the skin. The rashes are usually elevated. The intensity of the Poison Ivy Rash symptoms varies from person to person. They also depend on how the skin comes in contact with the Poison Ivy substances. Direct contact with Poison Ivy Plant is likely to cause maximum impact. If a person comes indirectly in contact with the resin, which happens when the substance sticks to clothing of another person, the effect will be slightly less in severity. As aforesaid, Poison Ivy contains an oily resin that causes allergy in the human skin. This is the Urushiol Oil. Skin contact with Urushiol Oil can be very discomforting and pain. This resin reacts with the skin and alters the shape of the inner protein membranes present in the cell. As a result, the immune system attacks the changed cells taking them to be foreign objects. Here are some easy ways for getting rid of Poison Ivy Rash fast. Take a look at these Poison Ivy Rash cures. As aforementioned, it is the Urushiol Oil resin of Poison Ivy plant that causes irritation and rashes. Cleaning the exposed area with water washes away all traces of the oil and minimizes the intensity of the contamination. Take a hot water bath if you suspect a Poison Ivy contamination. This will provide relief from pain and itchiness and remove traces of oil in any other part of your body. It is also advisable that you use medical kits like Zanfel, Tecnu Extreme Pison Ivy scrub and Sudocrem for faster recover from Poison Ivy Rashes. Take a bath with a tub of water mixed with a cup of Aveeno oatmeal. It acts as one of the best Poison Ivy Rash treatments. Poison Ivy Rashes are not contagious. But they can be transmitted from one person to another through touch if the Urushiol oil stays on the body or clothing of the affected individual. Contact of the skin with the oil can give rise to rashes. Does Poison Ivy Rash Spread From Pus? 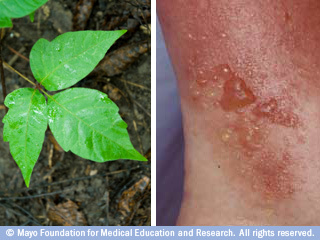 In case of Poison Ivy Rash spreading of the blisters happen neither through bodily contact or by coming in contact with the pus released from blisters. 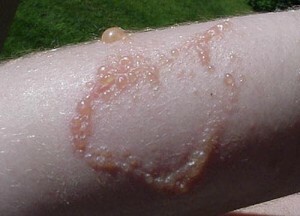 The only a normal person can get it is through skin contact with Poison Ivy oil which may be present on the skin or clothes of an affected individual. Looks like Poison Ivy Rash but it isn’t so you think? Identifying Poison Ivy Rashes can be very easy if you can recognize the Poison Ivy Plant. If you cannot make out a Poison Ivy Plant, take a look at the pictures of Poison Ivy plant. For a visual idea about rashes resulting from the plant resins, check out the Poison Ivy Rash images. Curious to know whether you have really got Poison Ivy Rash? Take a look at these pictures of Poison Ivy Rash. These Poison Ivy Rash photos will help you get an idea about the appearance of the blisters arising out of skin contact with Urushiol Oil. How Long Can Poison Ivy Rash Last ? Poison Ivy Rash duration can last from 2-3 days to 2-3 weeks depending on the skin condition of the affected individual, the intensity of contact and the area of skin affected. Poison Ivy Rashes look like red, elevated blisters on the skin surface. These may arise in a straight line or as blotches in a localized area of the skin. In later stages, these vesicles are filled with fluid. After the skin comes in contact with the Urushiol Oil, itchiness marks the first stage of the condition. The affected skin region becomes very itchy. The affected person constantly scratches it to get rid of the itchiness. 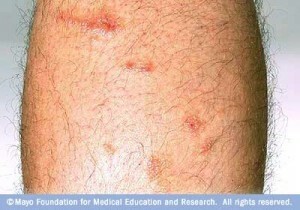 The second stage is marked by the appearance of rashes. 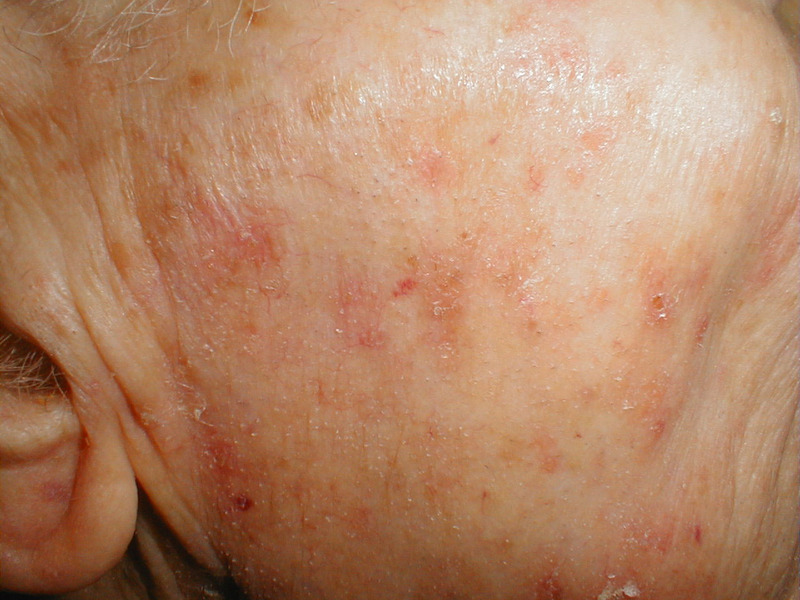 The rashes appear as red, swollen bumps on the skin. They can arise in a straight line or as streaks over the affected skin surface. In the final stage, the blisters turn into vesicles filled with pus. These eventually burst to release a watery discharge. How Long Does Poison Ivy Rash Take To Appear? Rashes do not immediately occur on contact of skin with Poison Ivy plant. In most cases, Poison Ivy Rashes appear a few hours after contact. The symptoms can take around 12 hours or even 2 days to appear. Can Poison Ivy Rash Come Back? In some cases, Poison Ivy Rashes can show a recurrence. The rashes can appear in the same spot after a few months. This can be treated using anti-fungal creams like Gold Bond foot powder, zinc-oxide based creams like Desitin and Sudocrem have been known to help many sufferers in making a fast recovery from this recurrence. Hydrocortisone creams are also seen to be quite effective in reducing Poison Ivy Rash swelling. Poison Ivy Rashes are non-lethal and do not give rise to any serious complications. But they can be quite discomforting for an affected person. If you are having these rashes or have someone suffering from it in your family, try remedies as fast as you can. To treat poison ivy rashes use chlorine bleach directly on the itchy rashes, or pour some bleach in the bath tub including water. A swimming pool with chlorine will later also dry up the PI rashes. I did it. 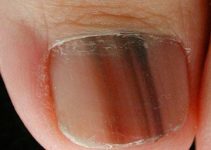 THE CLEAR yellowish fluid in the blisters is NOT pus but rather serum, a very normal fluid produced by the body to enable the blister to rise and thus provide a “protective” layer over injured skin. That’s the whole point of a blister regardless of cause. The serum will be reabsorbed naturally and it nothing to worry about. If you see MILKY yellowish fluid you are not looking at serum but rather pus. Pus is a sign of infection – the milkiness is caused by a plethora of white blood cells seeking to kill whatever is causing the infection (bacteria…) Do pay attention if you see pus. Don’t fret if it’s only serum.